KAMPALA – Mr Patrick Bitature who was ranked among the top “five Ugandan Multi-Millionaires” by Forbes Magazine in 2012 has opened up on his wealth, applauding Sudhir Ruparelia for the mentorship. 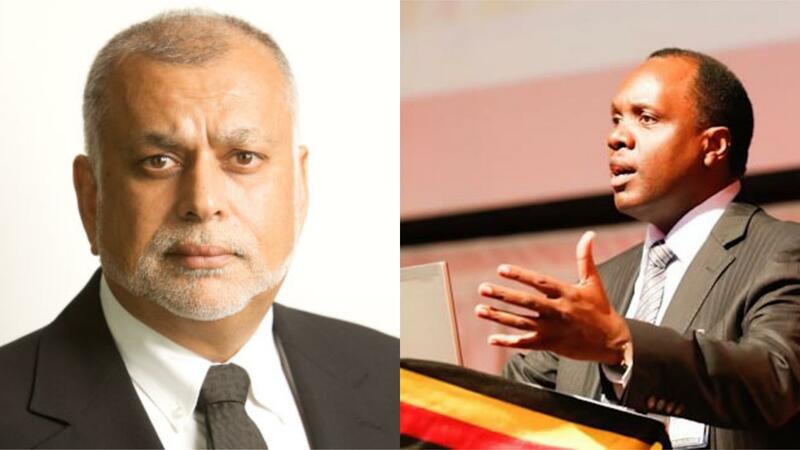 Bitature in a video where he was recently giving an inspirational talk to a number of graduates says Sudhir helped him to master the courage to invest in the real estate sector and property. “He held my hand when I was going in property and I was scared,” says Bitature adding that at the time he had made some good money after investing in MTN Uganda but he had not expanded his business portfolio as it is today. He says that one day after having lunch with Sudhir at Speke Hotel, “he held my hand and we went to Kyadondo, a Kampala suburb, where Sudhir showed him “three properties in the row” and “said buy them”. Bitature who didn’t have enough money at the time (all the properties were above Shs100M) wanted to decline the offer, but when he told Sudhir that he didn’t have money, Sudhir promised to lend him more and top up to what Bitature had. Bitature says that he partly felt Sudhir Ruparelia was trying to set him up. On that very day, Bitature says, Sudhir introduced him to another property at Nkrumah Road, and on this, he lent him Shs600 million to buy it. Bitature also says that he learnt that to succeed at the certain things in life, you’ve to take steps others would cringe over. “People who are employed, you are overeducated, you overanalyze, you don’t have the appetite for risk in your stomach,” he said. He says when you are still employed, don’t get into a business that requires a lot of your time as you start. He says you should open a business that will require a lot of your time after it has matured to pay your salary and offer the comfort to quit your job. The sweetness of entrepreneurship will be experienced when your company grows, makes money for you and creates jobs for other people, he says. To young people, he says they should change their attitude towards business by stopping to seeing as something that’s a last resort for people who’ve failed academically. He says you can still be employed while you own a business. He gave an example of multiple young graduates who struggle to get jobs with their top degrees yet the so-called academic failures have managed to survive without jobs and through hard-lining, they end up creating jobs for the academic high achievers.